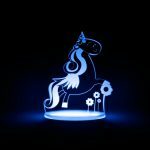 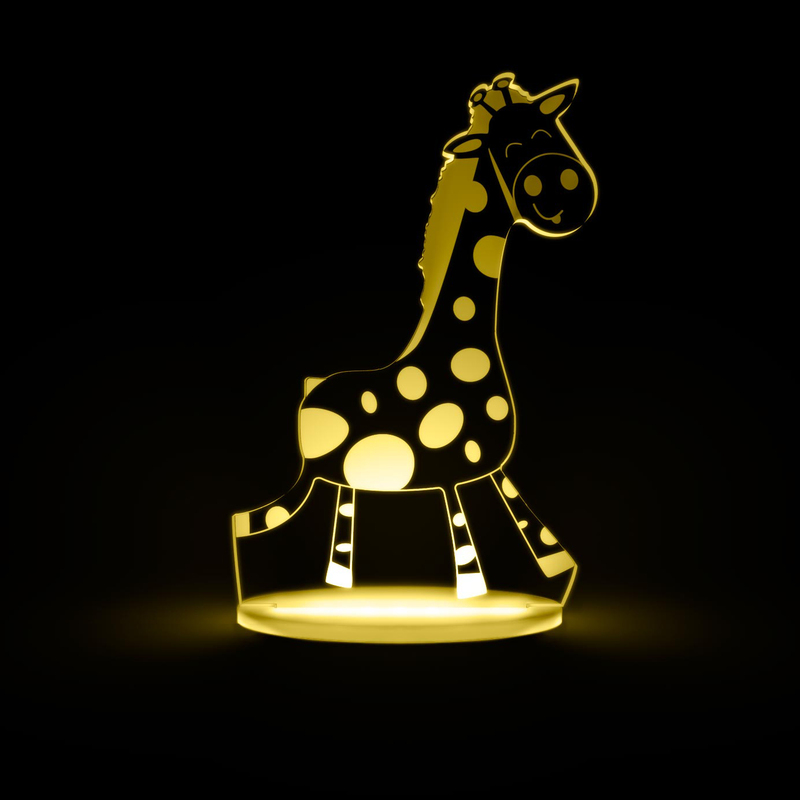 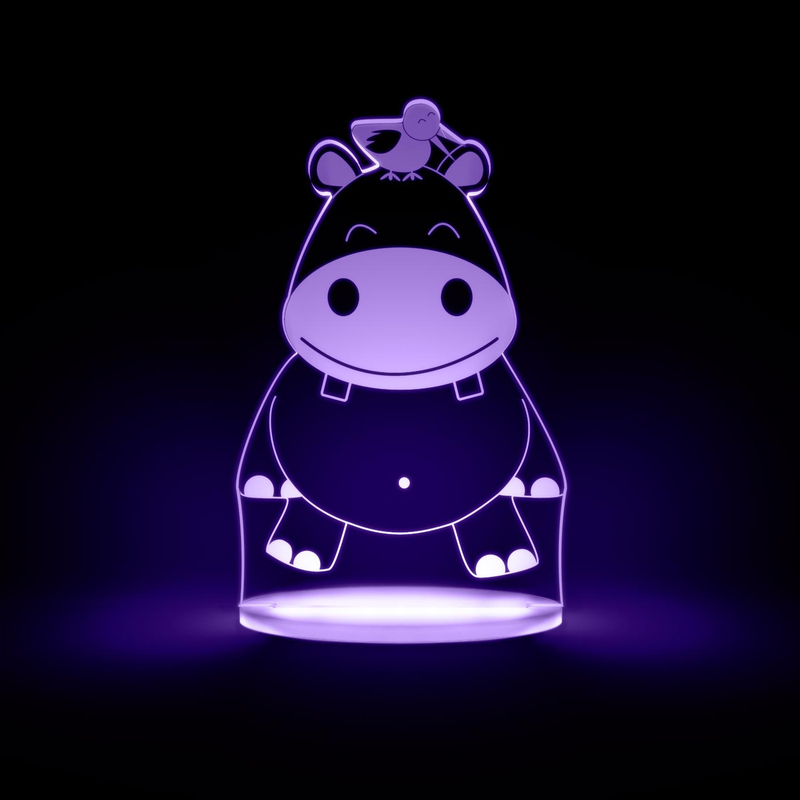 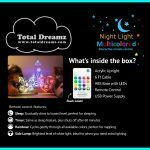 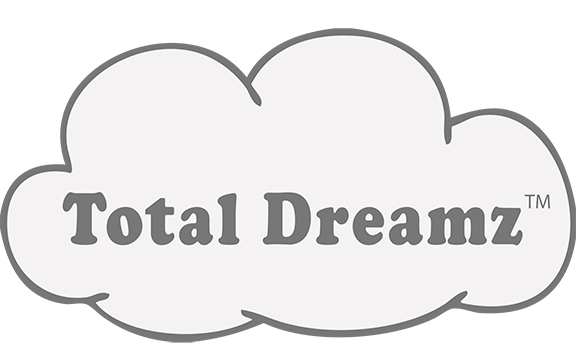 Unique, adorable and practical, Total Dreamz’s Unicorn Night Light is perfect for transforming your child’s bedroom into the calming sanctuary needed for a great and necessary night sleep for your little ones and you. 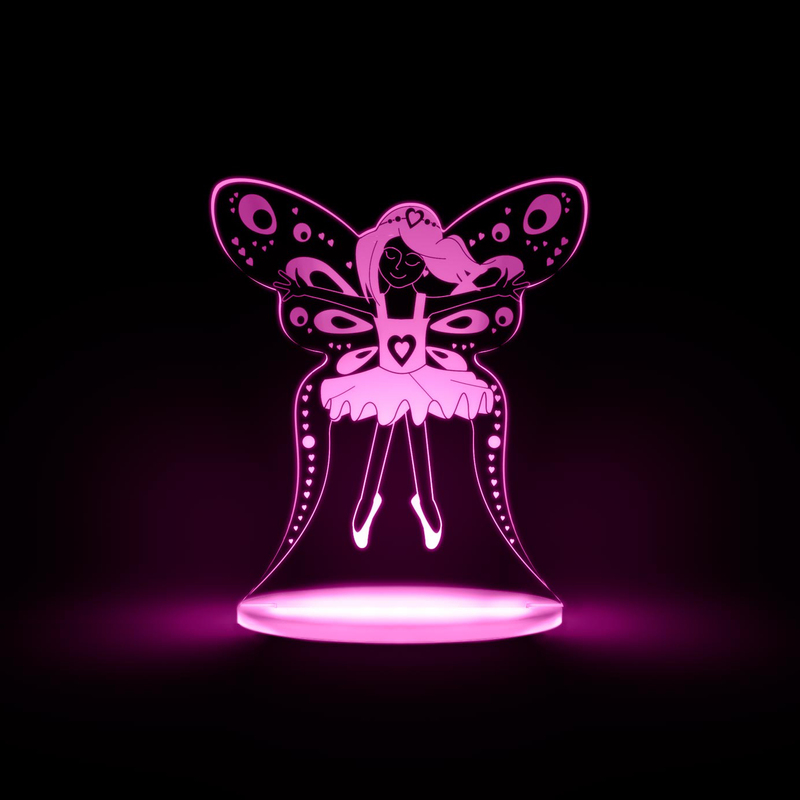 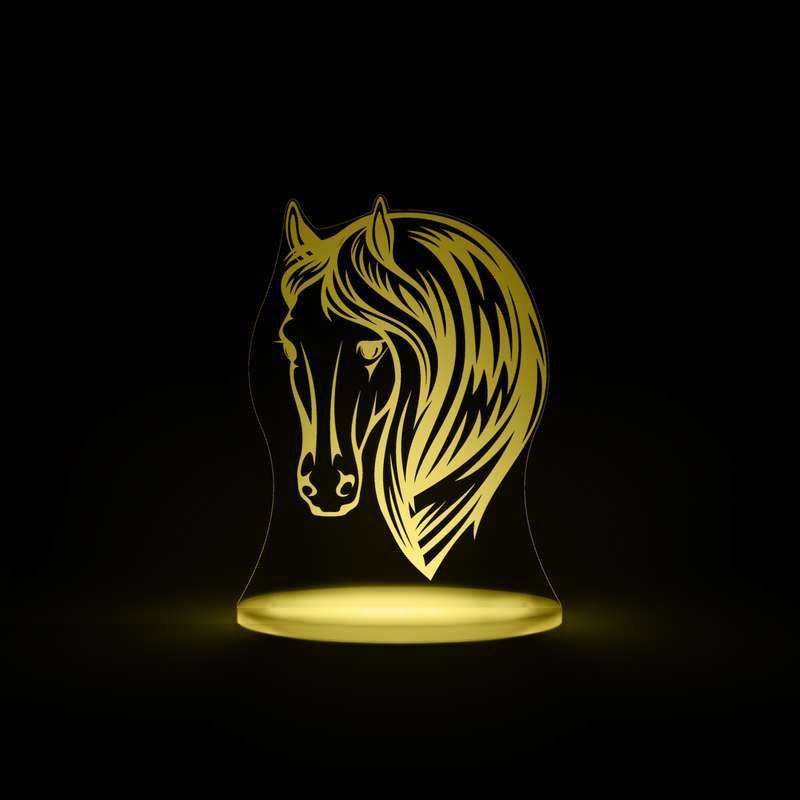 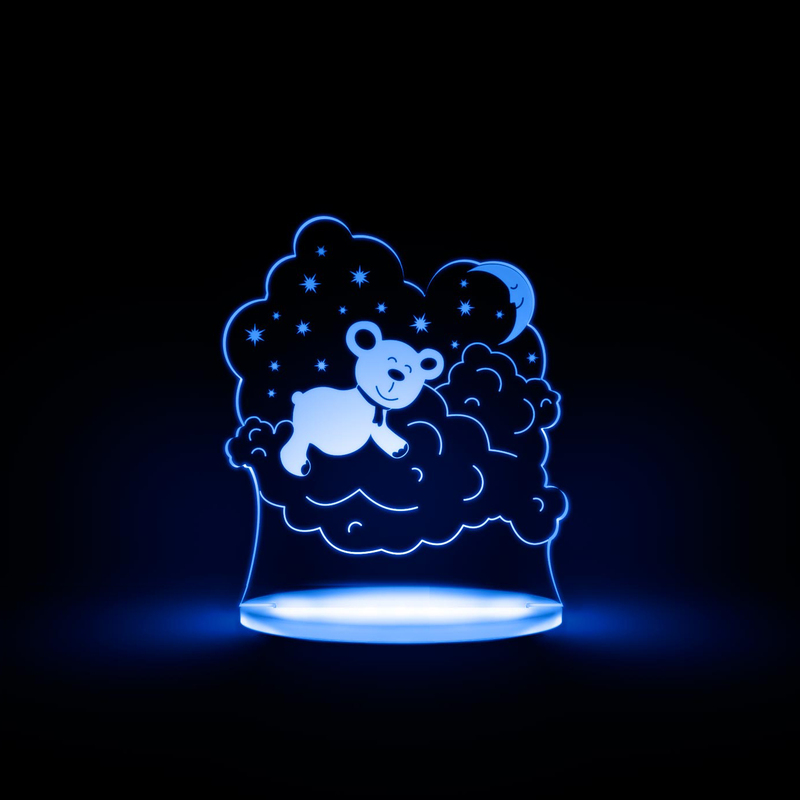 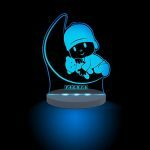 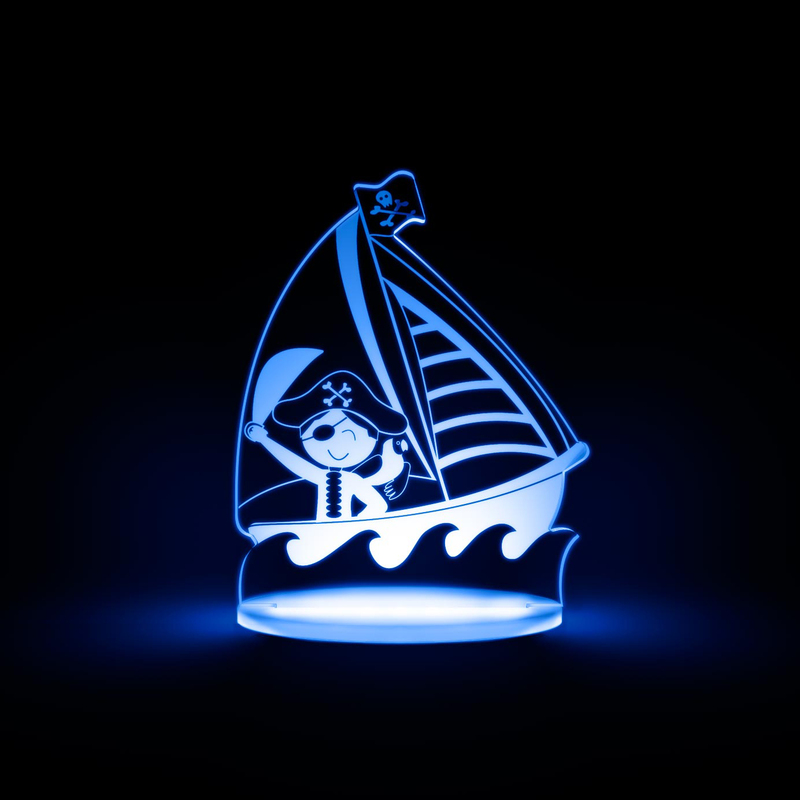 This innovative LED night light consists of an acrylic shape inserted into a durable plastic base with integrated LED’s, to illuminate your favorite design. 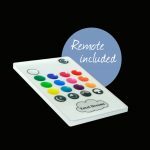 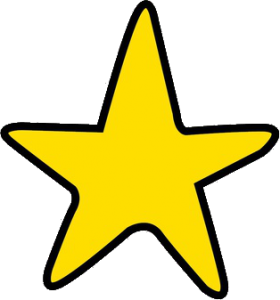 Use the included remote to choose from 12 soothing colors, 4 dimming positions, Sleep Mode: dims the light while your child drifts of into dreamland, Sleep Timer: automatically turns off after one hour, Rainbow Cycle: gently cycles through all 12 colors and Side Lamp: for when you need that extra bit of light. 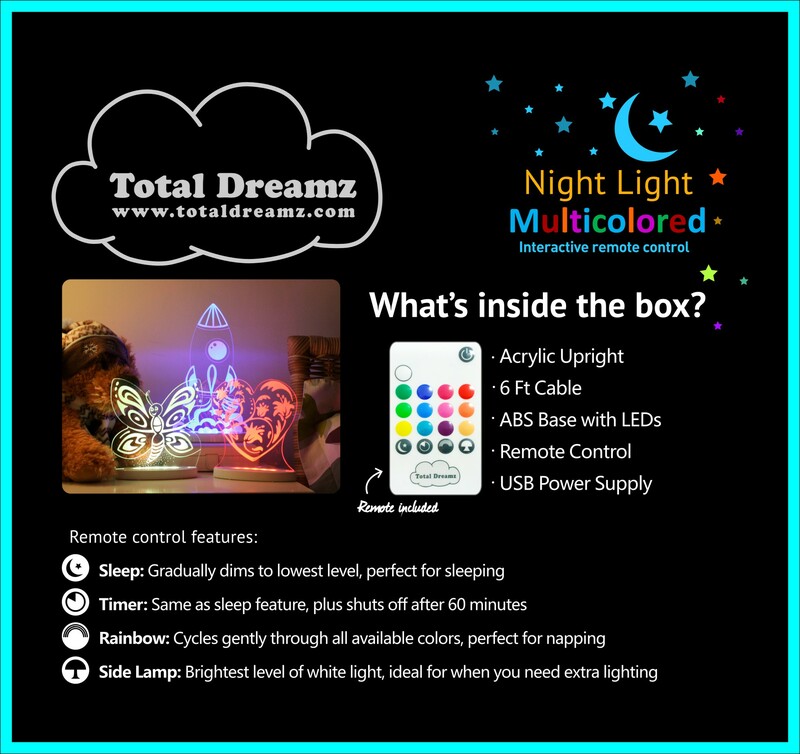 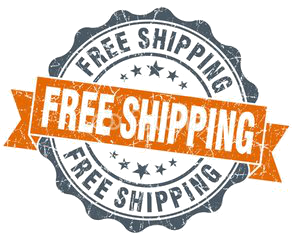 Manufactured by Total Dreamz, all lights are inspected and shipped from our warehouse in Chesapeake, VA.